Sheep Farm is a rather unique kind of time management game as it blends the “endless” aspect of endless runners/ climbers into the classic time management genre. In this game, you’ll be helping a newly hired employee named Ben at a small sheep farm. Help him tackle the hectic day-to-day routine of managing a sheep farm with duties that range from feeding the sheep to processing the wool you’ve harvested. Will you able to grow the business or will you bring it to ruin? The gameplay of the game is fairly simple although the steps involved in turning wool into yarns can be a tad bit tedious. With the tutorial guiding you through the steps, you will be able to get on your two feet and run the entire show by yourself in no time! That said, generally, what you’ll need to do is to take good care of your herd of sheep at the farm. Cater to their every need – they will let you know what they need via the thought bubble that pops up above their heads – and make sure that you get the animal feed, grasses, water or medicine to them in time. The timer is placed inconspicuously around each of the thought bubbles, by the way. 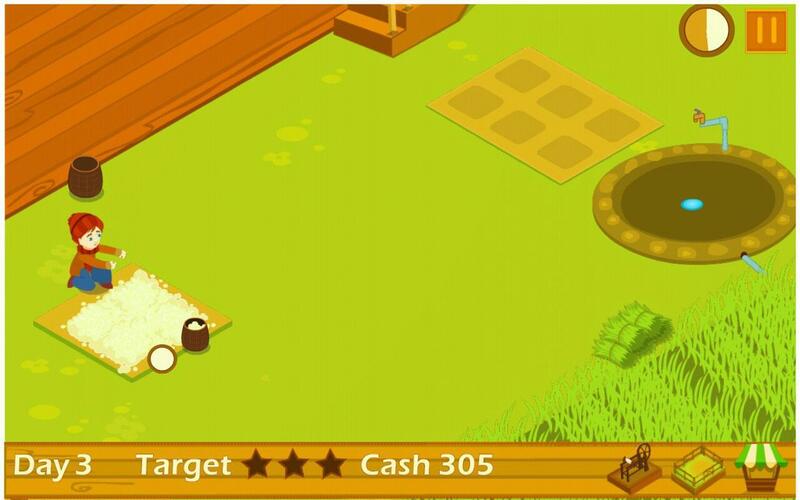 There are always activities that you can do at the farm, but if you intend on making the most of the time you have, you’ll definitely need to fully utilize the queuing system the game has in place. You can queue up a plethora of tasks for Ben by simply tapping on the stuff you want Ben to do. However, the downside to this very convenient system is that if you somehow made a mistake, you aren’t given the option to cancel that queued task. This can be frustrating at times due to the time sensitive nature of the tasks at hand. This can’t be helped I guess, and it does add some extra form of challenge to the game. Now that your sheep are well-watered and fed, they will start growing wool and producing milk. You can then collect these produce using the tools provided, either a bottle to collect the milk or a pair of shears to harvest the wool. Milk can be immediately sold for some quick cash, but as their price is kind of low, it can be hard to earn a whole lot of cash by selling only milk. For wool though, it is best to process it first prior to selling... that is unless you really need the in-game money urgently. As mentioned, the wool processing procedures can be rather tedious as there are many steps involved. You’ll need to transport the sacks of raw wool to the processing tank and wash the wool to rid it of any impurities. Once done, you’ll then need to dry the wool in the sun before collecting them, once again, into barrels. The barrels of cleaned wool will need to be delivered to the spinster at the yarning unit to be turned into yarns. That said, the yarns can be sold for a whopping $120 (in-game cash, of course), so the tedium of the process is kind of worth it. Having a nice sum of cash at hand does feel good, doesn’t it? Well, you mustn’t horde the money up like Scrooge McDuck. 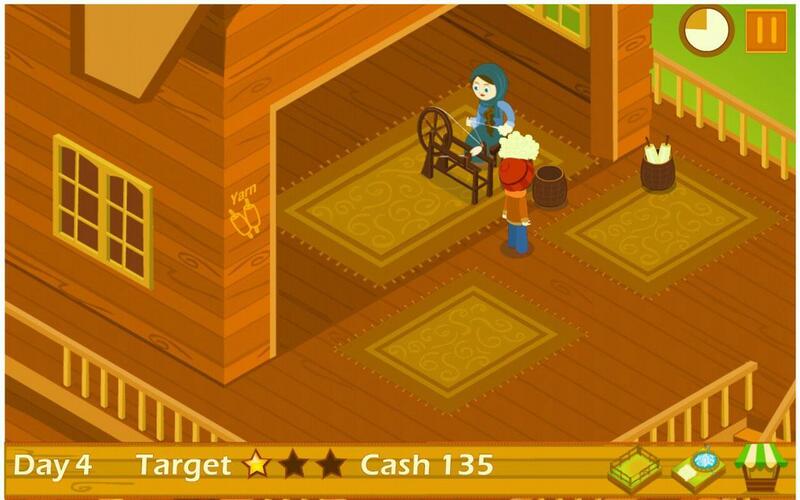 Instead, feel free to spend them to upgrade the tools of the trade and expand the efficiency of your sheep farm. There are many stuff you can buy at the market, such as a new cart (increases storage), new drying pads, more sacks and barrels, as well as more sheep. Let’s not forget to set aside a small amount to replenish the resources (mainly animal feed and medicine) that your flock of sheep would need. 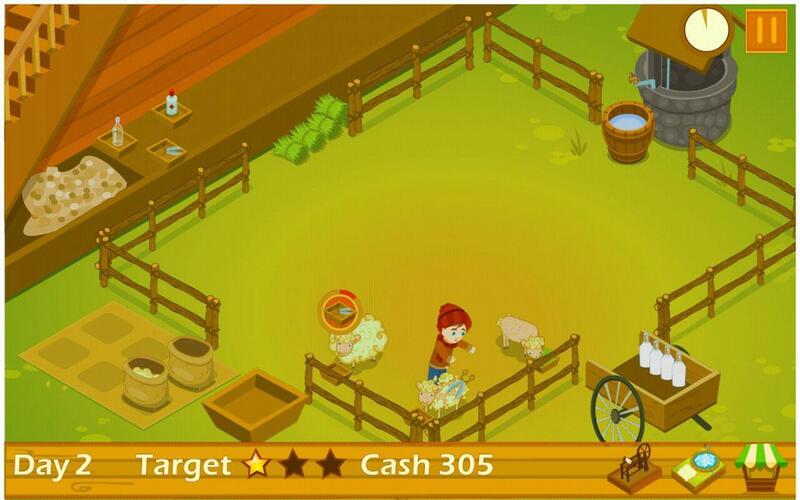 All in all, Sheep Farm is a very entertaining time management-based farm game that will definitely get any fans of the genre hooked! If you happen to enjoy these sort of games, you should definitely give the game a try.